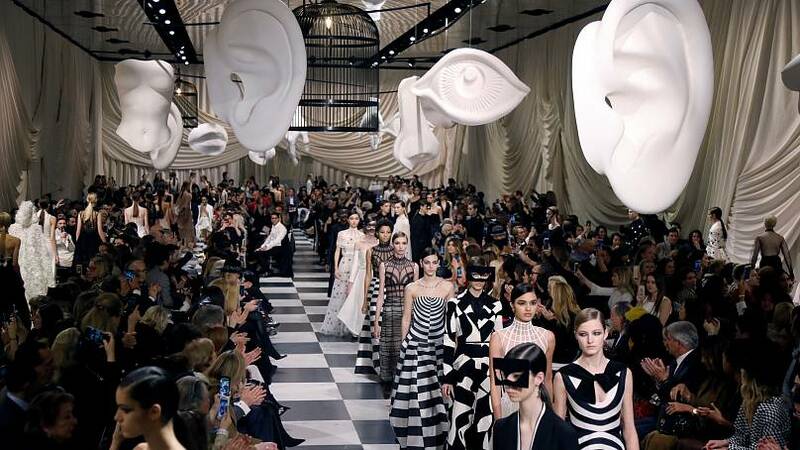 Karl Lagerfeld sent out his latest haute couture collection for Chanel in Paris' Grand Palais. It has some fresh and pastel tones, some Chanel classics and a special bride's dress. The Armani Prive collection featured a range of silk pantsuits and dresses, with some hand-painted with flowers, some made of multicoloured feathers. 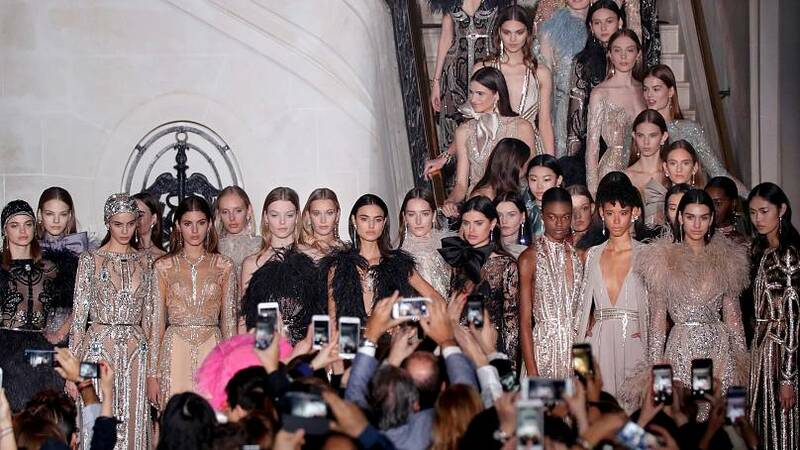 French couturier Alexandre Vauthier turned the Grand Palais into a nightclub for his fashion show. His collection was different from the previous ones, this time he was inspired by an English neo-romantic movement, he said. White and black were the predominant colours of the 72 silhouettes walking on the matching checkerboard wooden tables. The artistic director of the House's women's collection Maria Grazia Chiuri wanted to put surrealism in the heart of this creation. Ralph & Russo's couture collection was described as dreamy and delicate, inspired by travels to Asia, and envisioned to celebrate diversity and empowerment of women. The House works with artisans from around the world to create unique fabrics and materials, creative director Tamara Ralph said. 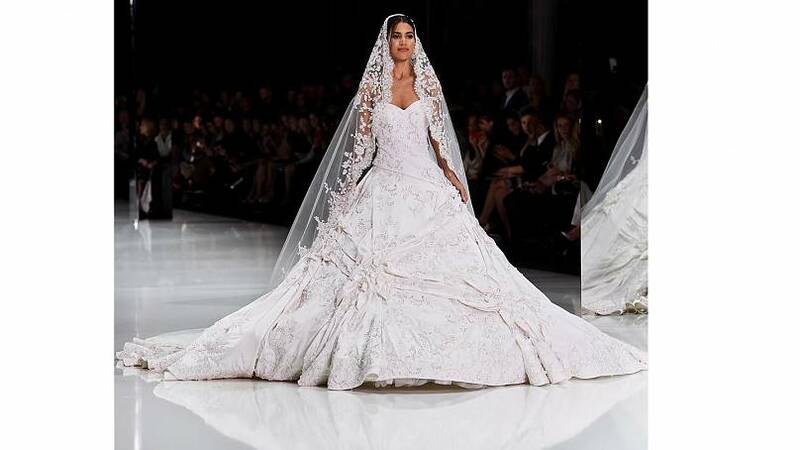 Ralph & Russo has been a go-to by royal celebrities and it is the first British label to be invited to Haute Couture fashion week in nearly a century. Giambattista Valli wanted to create something fresh, spontaneous and effortless to wear. The Italian designer explained he wanted to explore the idea of a goddess coming to life and falling into a wild garden. Valentino unveiled a dramatic Spring/Summer 2018 haute couture line that was grand in scale and volume. The show’s set recreated a couture ambiance of former times, with intimate salons and couches. The sumptuous selection presented particularly regal colours in pleasing combinations. Elie Saab paid tribute to the 1920s 'Parisienne' in his Spring-Summer couture show. The Lebanese designer found his inspiration in the women of sizzling Paris in the roaring '20s with a clear nod to famous figures of the era, including the outfits of Josephine Baker, and the costumes of acclaimed actress Mistinguette.